Uist Asco Ltd a dry seaweed manufacturer based in the Outer Hebrides has installed two Lely Aircon 10 wind turbines at its drying plant. They now have a secure and cost effective solution for part of their extensive energy needs. 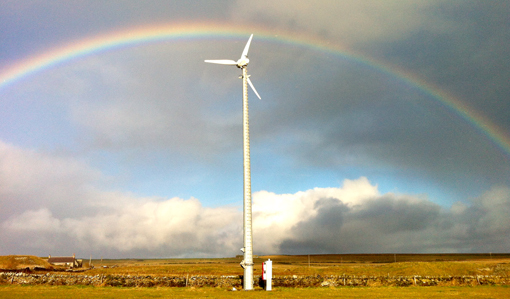 Located in a windy part of the UK the 20 year deal will contribute towards their sustainability objectives and provide them with clean energy for many years to come.